Forget about vanity metrics and focus on actionable metrics. 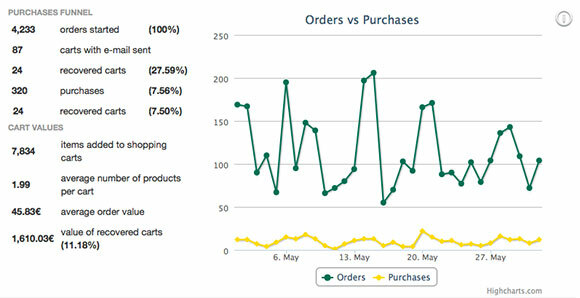 Our eCommerce analytics shows you metrics that matters. Control the main KPIs that define your eCommerce business in order to take better informed decisions to grow your business. Measure your personalization strategy performance and optimize every detail in order to get the best results. Check the results of your personalization strategy, measure recommendations CTR, personalization revenues, recovered shopping carts… All this information helps you to tune and optimize your personalization strategy in order to boost your sales and provide the best possible user experience. 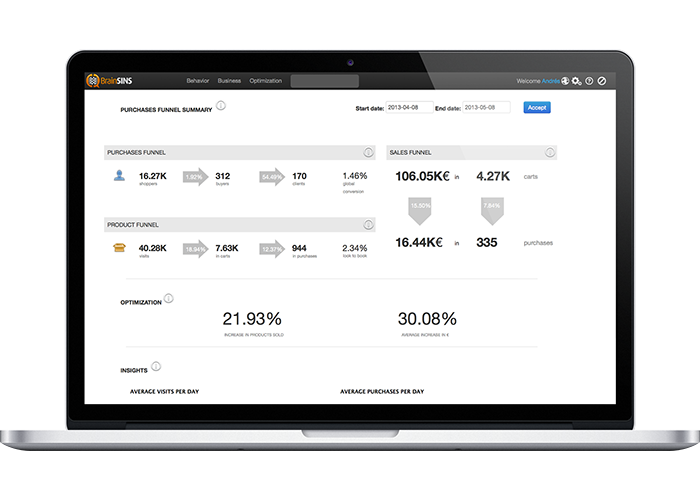 We provide metrics that helps you understand the ROI of our personalization solution. Control the actual and evolution of your average order value. 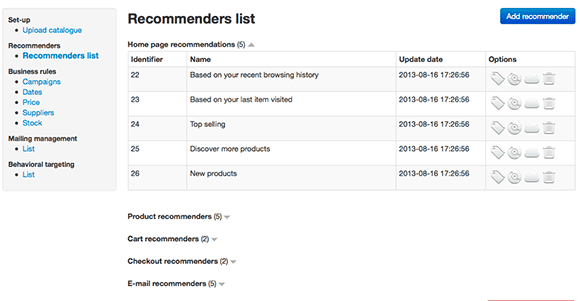 Analyze what personalization tactics generates more revenues to your online store. Conversion is key to your online business success. We help you measure the conversion (and the evolution of conversion) of your online store and how different personalization strategies helps you to optimize it. Do you know what’s your actual abandonment rate? We analyze it and help you recover abandoned shopping carts. Statistics show that users abandon more than 80% of shopping carts, so a good shopping cart recovery strategy is key to increase your global sales.